In December 2013 when we decided to go on a trip to Kanyakumari , Rameswaram also featured as I wanted to see the mystical land where Lord Ram had offered his prayers to Lord Shiva before starting his conquest to Srilanka . 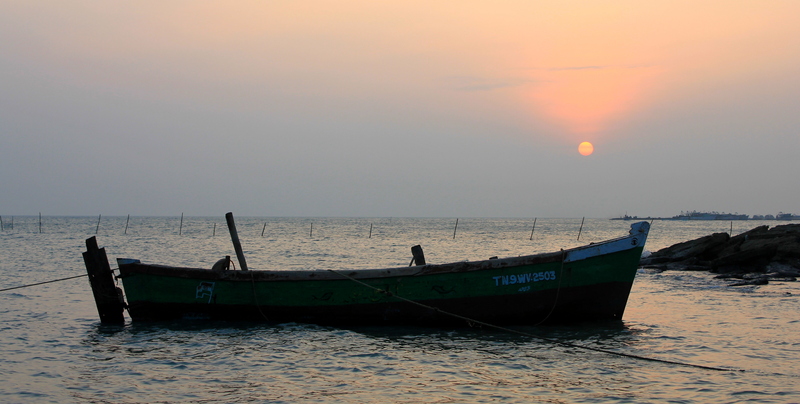 The drive from Madurai to Rameswaram passes through green fields , quaint villages , seaside and two naval bases . I was startled when I came to know that Rameswaram is actually nestled on Pamban island and connected to mainland India through Pamban Bridge . As we started on the bridge there was a huge traffic . We were unawares that they actually stop the traffic on one side to pass the traffic on the other side as the bridge is really narrow . We decided to take a detour and stop in the adjoining public Park to enjoy the beautiful view of the Pamban Bridge.The Pamban bridge refers to both the rail and the road bridge and is India’s first sea bridge . An amazing engineering marvel ,it stands at a length of 2.3 kilometer in the vast Bay of Bengal , emerging like a arc of hope to connect thousands of devotees to the divine . 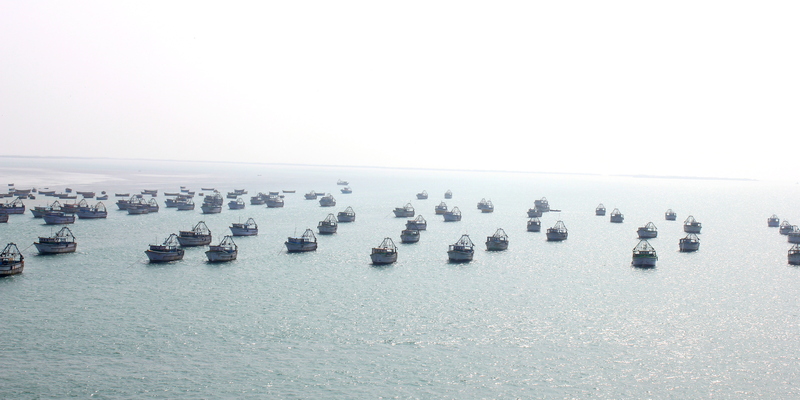 It was such a pleasing sight to see hundreds of boats stationed on the turbulent water. There were numerous sea-gulls , terns , pigeons and many others birds hovering over the bridge and the vast sea . The lapping of waves , the soothing sea breeze and the thudding of rails when the train passes adds to the enigma of the place . It is a sight which has to be savored as it makes you believe that with hard work and determination anything is possible. Pamban bridge is like an arc of rainbow which connects Rameswaram to India , makes it more significant as Lord Rama made the famous Rama setu ( Adam’s bridge ) in Rameswaram with the help of his Vanara sena to rescue his beloved wife Sita from the Clutches of Ravana. Is it just a coincidence or the ways of almighty to convey that our past seeps into our present to gaze into the future with resilience and wisdom ? The answer lies within. Next Mavalli Tiffin Rooms (MTR) – a food voyage to nostalgia !! I precisely desired to thank you very much yet again. I’m not certain what I would have achieved in the absence of these suggestions shown by you relating to such concern. It previously was a challenging issue in my view, but spending time with a new skilled tactic you treated the issue took me to cry over delight. I’m happier for your work and as well , believe you recognize what a great job your are putting in teaching people all through your webpage. I am sure you haven’t come across all of us.